Hey hey people? How are you doing? I am doing fantastic, as always. Wait, did you guys see that I put up two posts last week? Yeah, that was a super proud moment for me, haven’t put up two posts in one week in years. You can read them here and here. Don’t forget to leave your comments. 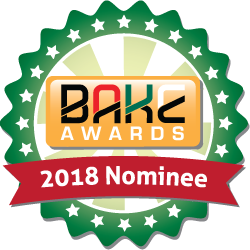 Also, please vote for me in the BAKE Awards for Best Fashion and Style Blog, if you still haven’t had a chance to. You can vote here. This week’s post features a shirt dress from Shiyenze Fashion. I find that a shirt dress is one of those super versatile closet staples. Granted, anything can be a closet staple with the right styling which is sort of my intention with this new direction where I am styling one item in more than one way; to show you that with a little creativity, it’s possible to wear one piece in different ways. But as I was saying about the shirt dress, it’s one of those pieces that can easily take you from day to night, brunch to club, with just a few tweaks. For this series, I deviated from the expected styling with flat shoes, and instead went with boots and heels. I hope you enjoy the looks. You know those looks that you come up with and it’s like a eureka moment? This was one of those. I had styled the shirt dress in two ways and was stuck on the third look, at 11pm, with a 7 am shoot the next day. So I gravitated towards my comfort zone; denim. Threw on boots, another comfort item and the chokers seemed like the natural way to complete the look. This is my version of a casual look ft. the shirt dress. I went with these skin tight denims from H&M because the shirt dress is quite loose fitting (which is how I like it) and I did want to bring back some definition. I want to live in joggers, but I can’t because I have maybe 3 pairs, and these are the most worn. Every time I am shopping, online or in a physical store, I always check what joggers are available. I have not been able to find a pair that come even close to these so my search continues. This look is giving me “hi, I am stylish so I don’t need to overdo it” vibes. On the real though, it’s a relaxed look, without necessarily being casual, and I have to thank the satin stripe on the joggers and heels for this. Ya’ll didn’t think I was going to style a shirt dress and not wear it as a dress, right? It’s cliche and obvious, but I think it’s a really awesome look. This has nothing to do with the fact that I am subtly mixing prints with the belt, and matching the second belt to the gold strip on my boots. Nothing at all, haha. In all seriousness, this styling makes me very happy. I knew I wanted to wear it as a dress, but needed something to elevate the look from basic to badass. Not that I have anything against basic looks. Thank you for reading. Which of the two is your favourite shirt dress? And which look is more your speed? I personally can’t decide between the two shirt dresses, and I love all the looks here. Can’t pick a fave. Hi Liz, nice to read from your blog, always appealing. To be honest, i couldn’t pick a fave either coz i love them all; in fact, I’m still debating between ‘Shirt Dress with Jeans’ and ‘Wear it as a dress’ I just love them so much. Anyway, keep them coming and may God continue to bless and guide you even as we wait for our victory with the BAKE Awards. Right, they are all so good. I love how you play around with that shirt with different outfits. Your creativity girl is on another level ❤❤. Fully parked with fashion tips on how to style my long African and vintage top now.